Seeing and understanding people, things, and situations clearly and intelligently. How Will Discernment Affect My Life? Life is full of choices — some of them momentous, such as deciding on a career path, choosing a life partner, or having children. Other situations are not as major, but they are significant because they impact our lives and the lives of our families, co-workers and friends. Our decisions shape who we are and who we are becoming. Having discernment will improve your life by elevating the quality of your decisions. Discernment helps to reduce distractions so that you can be thoughtful, intentional and wise in your decision making. Discernment minimizes regrets and frustration and multiplies respect, fulfillment, and success in your life and associations. Why Use Discernment When Cutting Leather? 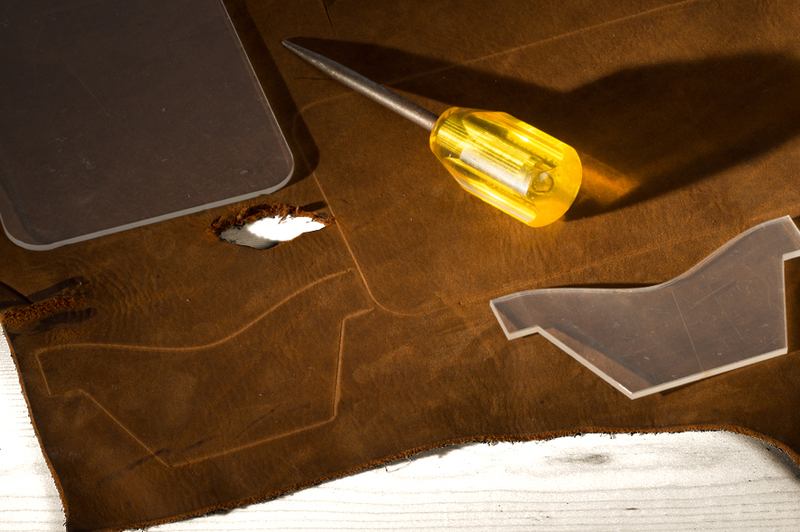 Before cutting into the leather, be sure to examine the leather’s surface to find all brands and scratches. Try not to use the brands or scratches on anything where strength is a major factor because it may compromise the integrity of the product. You can, however, use brands in places where strength is not an issue and doing so makes for a truly unique, one of a kind piece. Check the back side of the leather for butcher cuts and work around these because they will also compromise the integrity of the leather. Save scrap pieces of leather. Try to come up with ideas to use even the smallest pieces of leather. Anything from keychains to leather washers to Christmas tree ornaments are great ways to use up smaller pieces of leather. Practicing discernment is important when cutting leather because it has an immediate effect on you, your wallet and your products. However, it is even more important to practice discernment in all aspects of life because it will affect the decisions you make, the friends you keep, and the overall quality of the life you live.